"And when he opens the box, you see something dark and glittering, an orderly mess of shards, refuse, bits of junk and feather and butterfly wing, tokens and totems of memory, maps of exile, documentation of loss. And you say, leaning in, 'The world!'" This passage from Michael Chabon in the book The Wes Anderson Collection seems to describe the rental corner terrace along Joo Chiat Place which 34-year-old stylist and florist Eunice Yeo calls home. Her living room alone is a universe that holds the most random and beautiful things: a Cabriole legged centre table, design books, French-style sofa with white and turquoise upholstery, wingback armchair, throw pillows in floral prints and solid colours, upcycled furniture pieces, hanging artworks, vintage cups and saucers, and indoor plants. 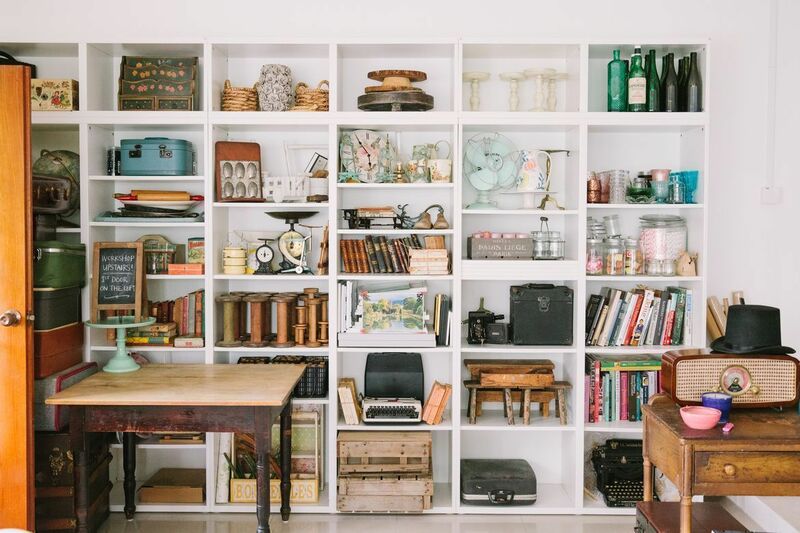 A massive shelf accommodates old typewriters, vintage electric fans, hardbound books, spools and jars and empty bottles, and other small and wondrous things. Natural light bounces off the white walls and shines on travel curios. Details come together—the cohesive mix of the old and new. Eunice soaks it all in. Her home has her name written all over it. 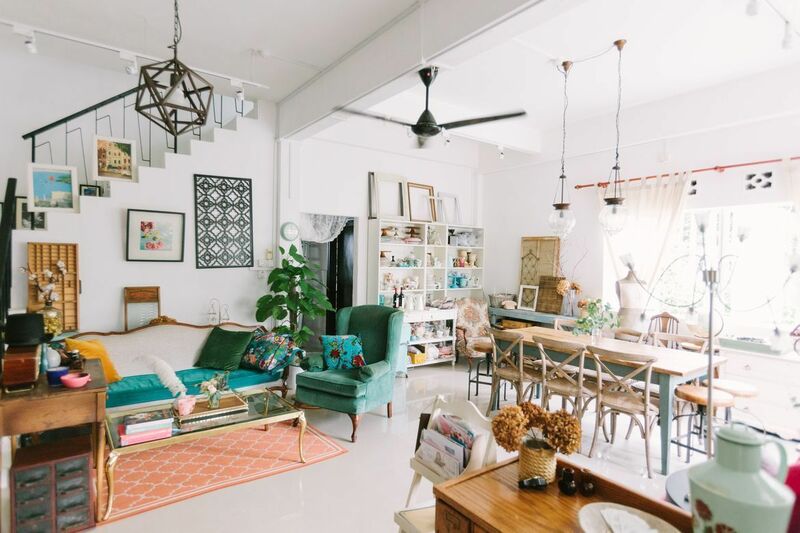 Despite staying in a rental which usually imposes interior design limitations, Eunice has managed to decorate the apartment and turn it into a personal space that reflects her whims and memorialises her travels and experiences. "Luckily for me, it was a sufficiently blank and white canvas, which allowed me to execute my design vision," says Eunice. 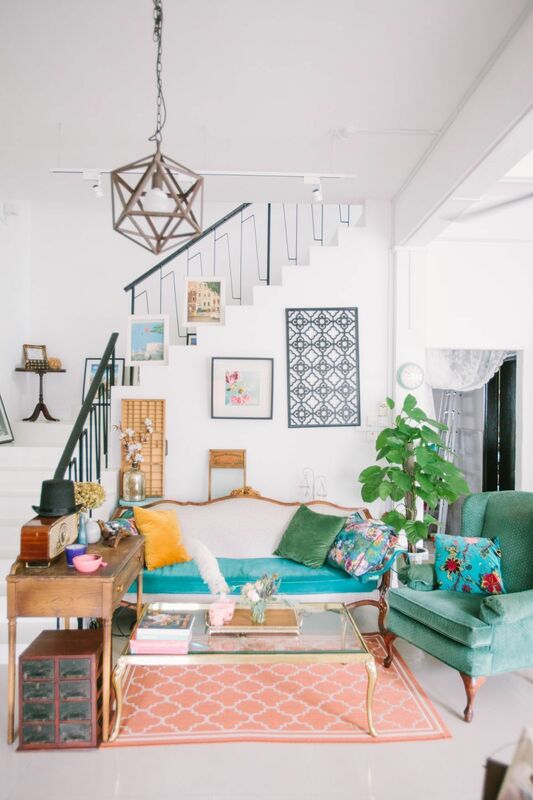 Eunice's vintage eclectic home is a byproduct of her travels, visits to flea market, hours and hours of trawling through Pinterest, and unending love for all things pretty and quirky. 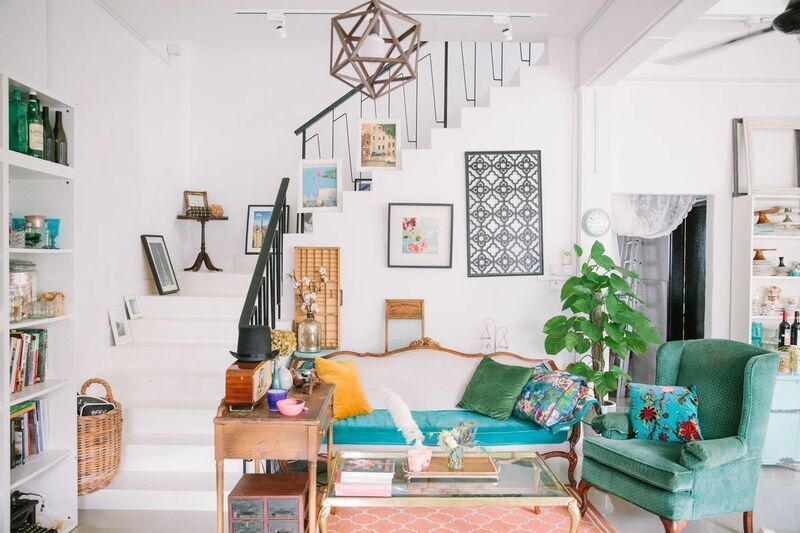 "My home is filled with a mishmash of vintage and new furniture and decorative pieces that I have acquired in the last few years. 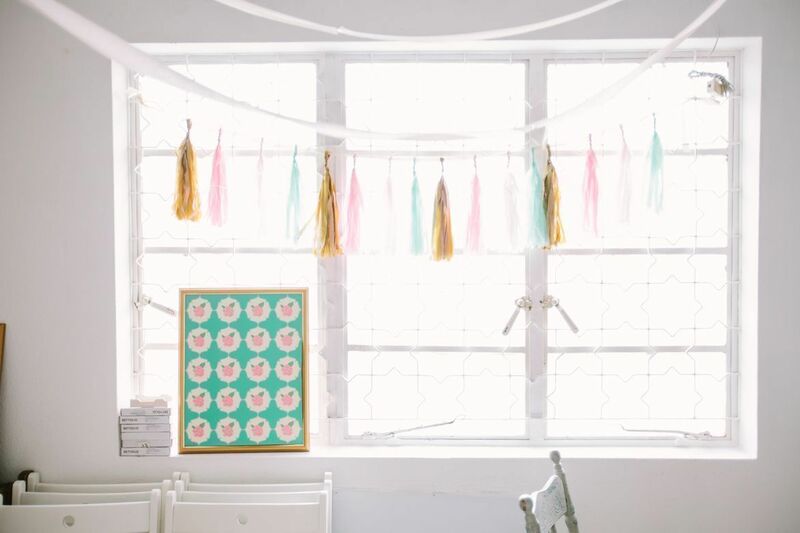 My continuing inspiration comes from the beautiful images on Pinterest and the props and decor that I collect for work," says Eunice. 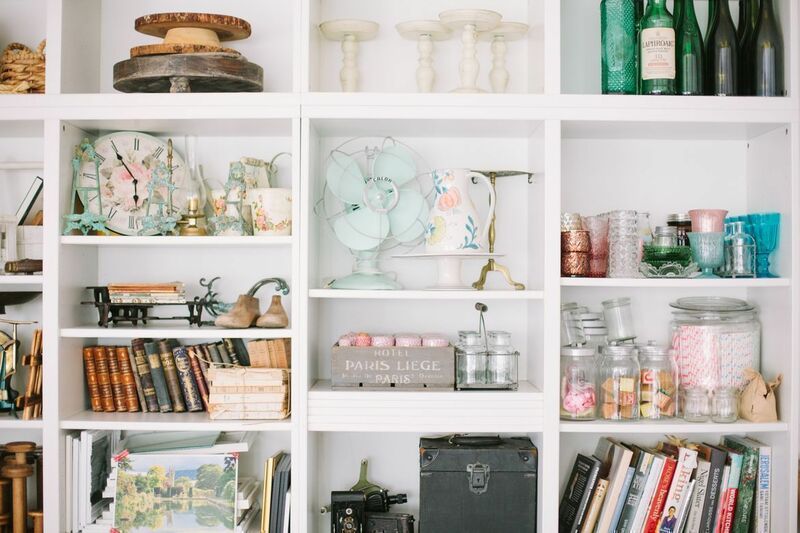 As Eunice possesses a number of random accessories and trinkets acquired through the years, she moves them around her place "to keep things fresh. I like to keep changing things around, so I invest in a few key pieces that form a good canvas and switch around soft furnishings and decor items when I feel like a change!" "I have a look I want to achieve in mind and I start collecting and sourcing for pieces that will fit it. 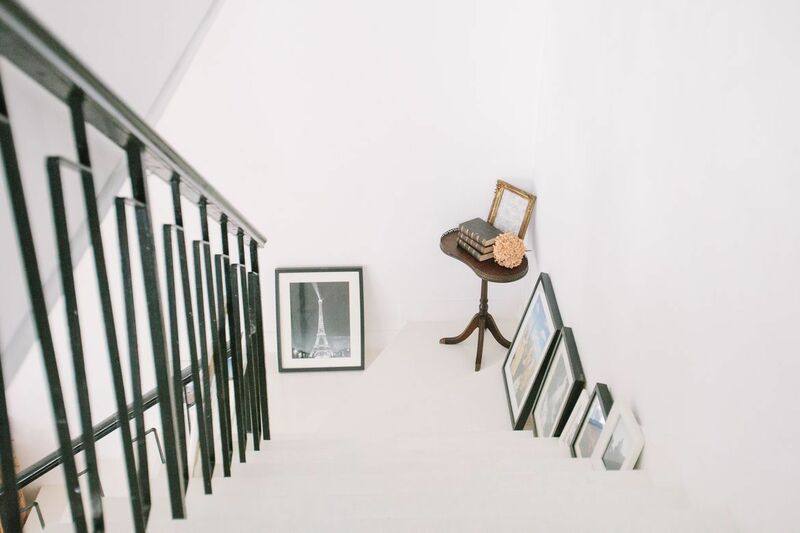 It is better to wait for a suitable piece and slowly decorate (though with essentials in place) rather than settle for something that may be a compromise," she continues. "I like my living room area as it is visually impactful (when you step into the house), and yet is a comfortable place for me to lounge around." 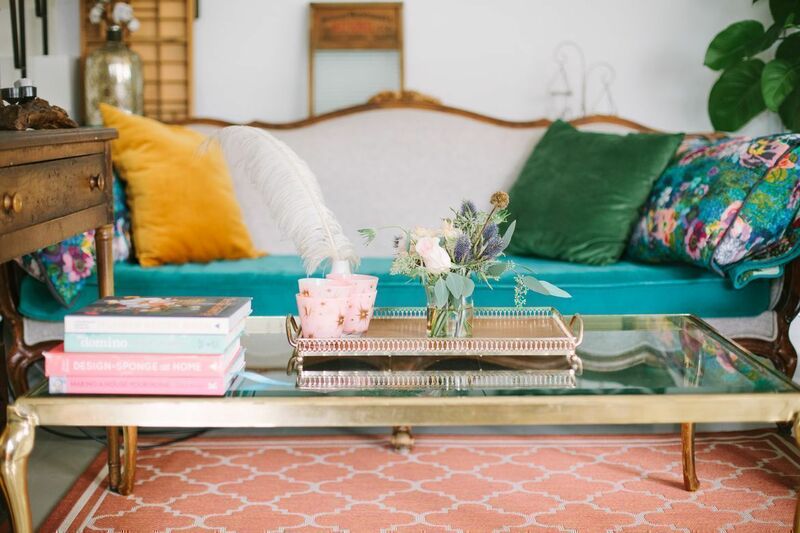 "I really love my living room sofa, which was a vintage piece that was given as the previous owner was moving overseas and did not have space for it. I had it reupholstered in a more modern fabric and I must say I never tire of it!" The main colour palette of her interiors is inspired by a beach trip she had. "Classic all white palettes with splashes of colours always speak to me. 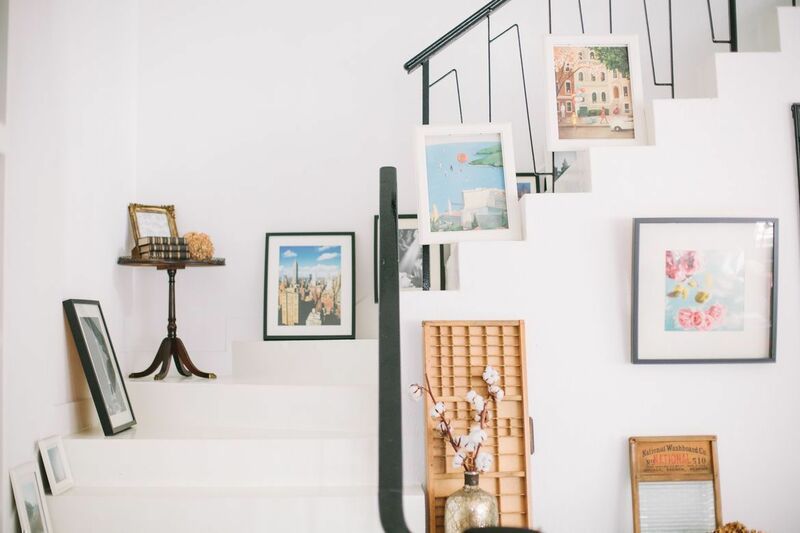 In the end, the colour palette for my space came from the natural landscape of blue skies, greige rock cliffs, sandy beaches and azure waters which I saw during a holiday in Croatia," says Eunice. And while Eunice is big on vintage, she still goes for contemporary pieces to pair with the retro items she owns. Her go-to shop? "I must confess I'm an Ikea fangirl. I go there so often that my friends call it my second home," Eunice quips. "Ikea has many items that work well as basic essentials, or for DIY too. Other than Ikea, Crate & Barrel has nice decor and furniture as well." 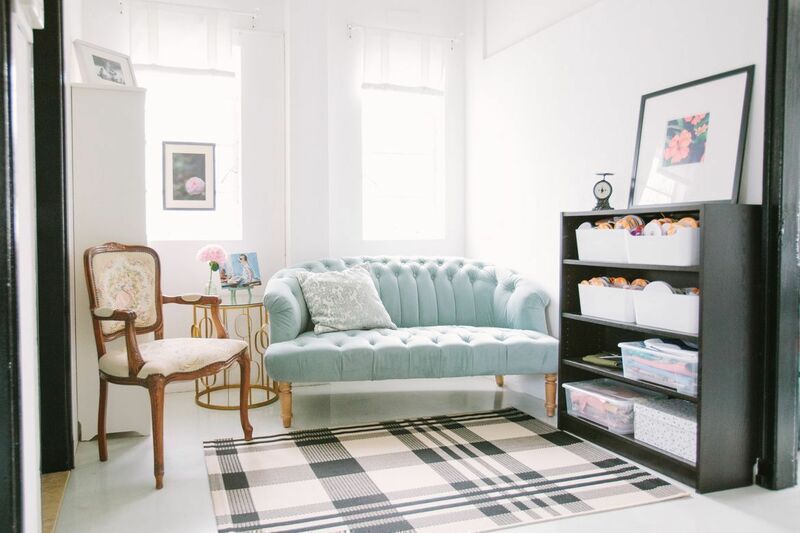 Heartwarming, vibrant, and intimate, Eunice's home proffers a comfort and cosiness suitable for nights-in with friends and quiet solo afternoons. Eunice has indeed made a good choice renting this house and embellishing it in her own style. "I love the retro and vintage feel of the house itself, which feels almost like a conservation house with its geometric window grills and frosted glass panes. The inside of the house reflects my personal style and that's what makes it special." Vintage items peppered all over the house came from London, where she used to live. "It was easy to buy unique pieces from flea markets." "I spray painted two pendant lamps, as well as some other furniture pieces, to match my colour scheme." "My favourite accents are my collection of children's books and typewriters. Each book was handpicked by me on my flea market trips, I really love the illustrations in them. And who doesn't love a beautiful old typewriter?" I also like the second floor sitting area, as it's a cozy nook with a few simple pieces of furniture that also invites one to sit and relax." "I think my dining table, a reclaimed wood farm table, is very beautiful as well as I love the patina of the old wood." 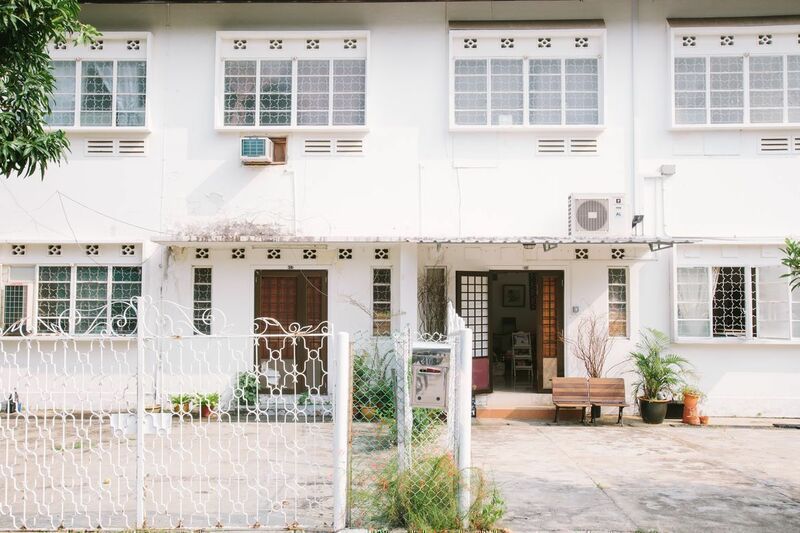 This lovely nest is just one of the houses featured in Neighboursfirst.sg, POSB's new content platform that features content celebrating new perspectives on the Singaporean way of life by showcasing the "narratives of the neighbourhoods" in Singapore through three key pillars: people, places and purpose. Visit the website to learn more.